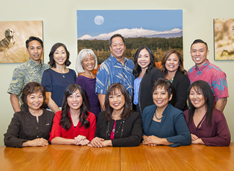 In 1988, Lee Financial Group Hawaii created the Hawaii Municipal Fund (SURFX), a State of Hawaii tax-free*, no-load mutual fund. As kamaaina, we all want our home to be the best place to live, work and play. 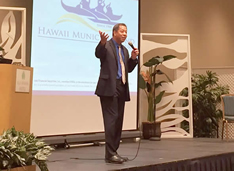 One way we can do this is by investing in Hawaii municipal bonds. Municipal bonds are used to build or improve hospitals, schools, highways and other local projects that make our home a better place to live. 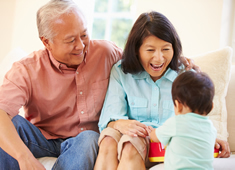 Investing in these bonds provides the opportunity to earn federal and state tax-free income*. The Fund seeks to provide a high level of current income exempt from federal and Hawaii state income taxes*, consistent with preservation of capital and prudent investment management. The Fund will normally invest at least 80% of its net assets, including borrowings for investment purposes, in a portfolio of primarily investment grade municipal securities issued by or on behalf of the State of Hawaii or any of its political subdivisions or agencies that pay interest that is exempt from regular federal and State of Hawaii income taxes*. Its dollar-weighted average portfolio maturity is expected to be 10 years or more. The Fund is non-diversified. Investment Manager: Lee Financial Group Hawaii, Inc.
Before investing, read the prospectus carefully. Please carefully consider the Hawaii Municipal Fund’s investment objective, risks, and charges and expenses before investing. The prospectus contains this and other information about the Fund. Call (808) 988-8088, (800) 354-9654, or visit our website www.LeeHawaii.com for a free prospectus. *Some income may be subject to the federal alternative minimum tax for certain investors. Income may also be subject to capital gains taxes. Mutual fund investing involves risks. Principal loss is possible. 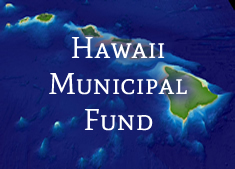 The Hawaii Municipal Fund’s investments in municipal bonds subjects the Fund to interest rate, credit, call and geographic concentration risk. This is not a complete list of risks that may affect the Fund. For additional information concerning the risks applicable to the Fund, please see the Fund’s prospectus. The Fund’s yield, share price and investment return fluctuate so that you may receive more or less than your original investment upon redemption. Past performance is no guarantee of future results. Hawaii Municipal Fund is a series of Lee Financial Mutual Fund, Inc. Lee Financial Securities, Inc., member FINRA, is the distributor for Lee Financial Mutual Fund, Inc. Lee Financial Securities, Inc. is a wholly owned subsidiary of Lee Financial Group Hawaii, Inc., a registered investment adviser with the SEC. Your investment can earn income free from State of Hawaii and federal taxes*. You can receive monthly income in cash or have it reinvested automatically for tax-free* compounding. Shares are offered for purchase or sale with no sales load, no commissions and no withdrawal penalties. Investing in the municipal bond market requires specialized expertise. Our in-house portfolio manager evaluates potential and current portfolio holdings and invests in securities believed to offer an advantageous combination of yield, quality and maturity. The size and complexity of the municipal securities market make it difficult for individuals to assemble a diversified portfolio. Purchasing a mutual fund spreads your dollars over a number of investments rather than just one. This helps to prevent investors from putting all of their eggs into one basket. You can redeem all or part of your shares at the then current net asset value, which may be more or less than your original cost. There are no redemption charges or withdrawal penalties.